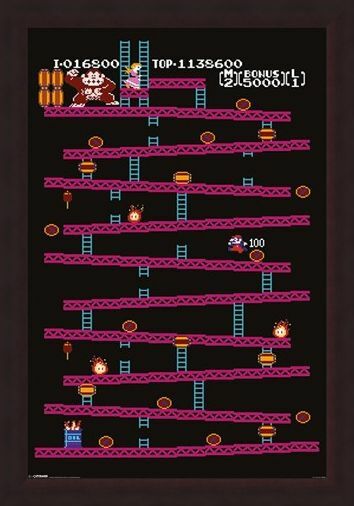 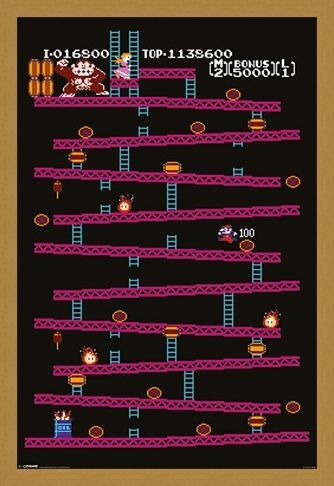 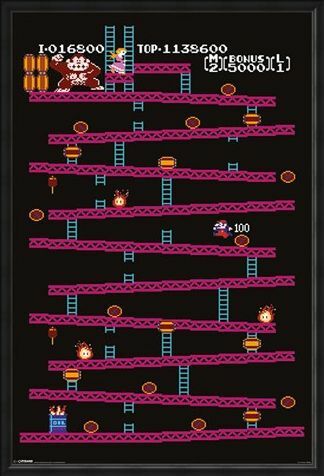 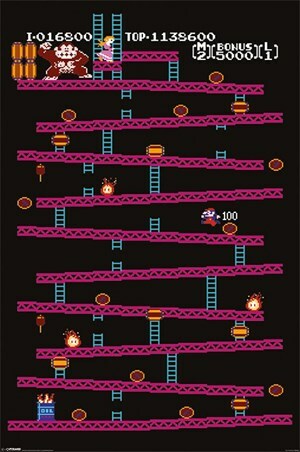 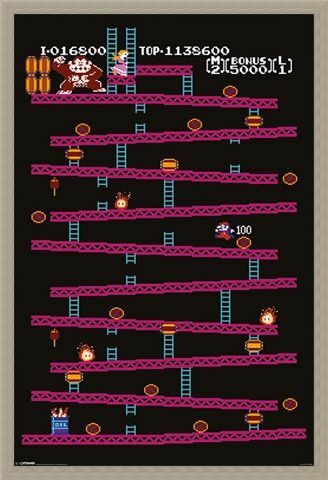 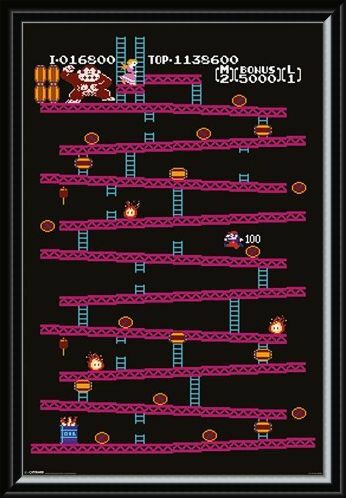 Children’s Maxi Poster: Take a trip back in time to the days of classic computer gaming with this brilliant maxi poster which features Donkey Kong. 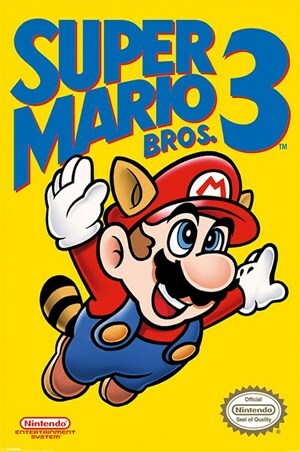 Racing from the bottom of the obstacle covered ladders, Super Mario embarks on another level of mayhem in his attempt to free Princess Peach from the clutches of Donkey Kong. 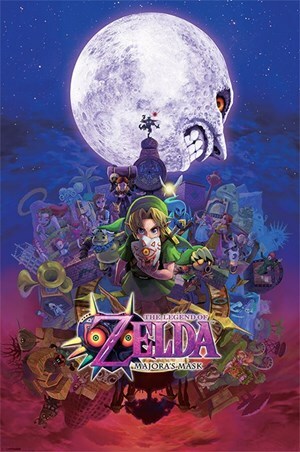 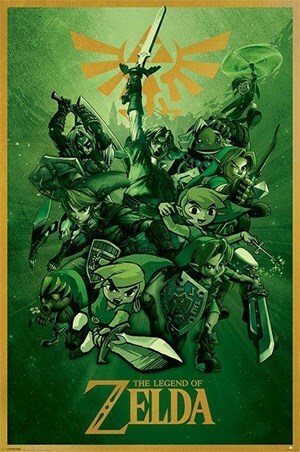 Taken from the 1981 release of the classic Nintendo arcade game, this eye catching poster is the perfect way to relive those eight-bit adventures with your favourite characters. High quality, framed Donkey Kong, Retro Gaming poster with a bespoke frame by our custom framing service.